Volunteers from the Ahmadiyya Muslim Youth Association will be out on the streets again today helping to clean up Glasgow. A group of young Muslim volunteers will be out in Glasgow today on a huge clean-up operation to start the new year. 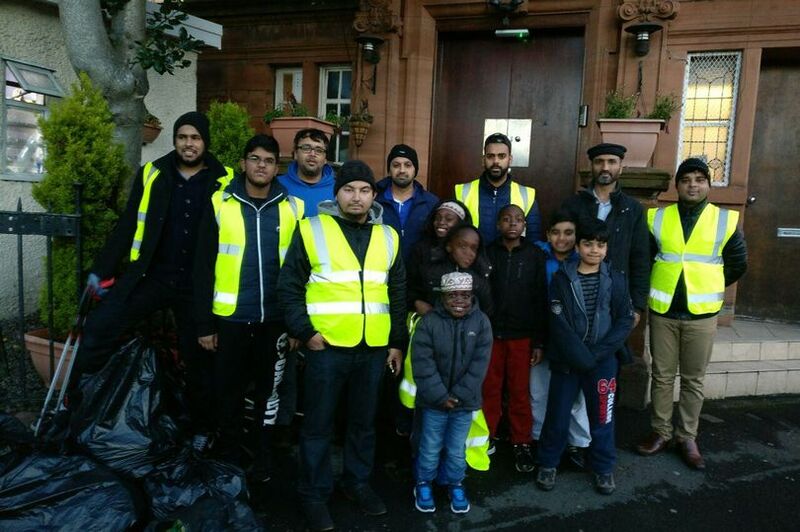 The youngsters are members of the Ahmadiyya Muslim Youth Association with the Glasgow clean-up part of a nationwide plan involving other groups in cities like London, Cardiff, Birmingham, Manchester and Newcastle. They say it is part of “our religious and civic duty” to help tackle the “£1billion public cost” of littering in the UK. They also hope that others in the wider community join them in the big clean up. Glasgow’s Ahmadiyya Muslim community organises a number of civic and voluntary drives in the city throughout the year and has repeatedly sent out messages of love and unity in the wake of terror attacks. During their clean up on New Year’s Day last year they also gave out food, clothes and other supplies to homeless people in Glasgow. The Ahmadiyya Muslim community is well established in Glasgow and has a base in the west end of the city, near Kelvingrove Park. Their beliefs differ from those of other Muslims and they have worked hard to raise awareness of who they are and what they believe, particularly since the tragic murder of popular shopkeeper Asad Shah by religious extremist, Tanveer Ahmed, in 2016. Sending out a New Year’s message to the city last night members of Glasgow’s Ahmadiyya community said: “Ahmadiyya Muslim Community in #Scotland extends its best wishes for a healthy and prosperous #NewYear. May God grant you peace and happiness in the coming year #HappyNewYear2018 #LoveForAllHatredForNone”.